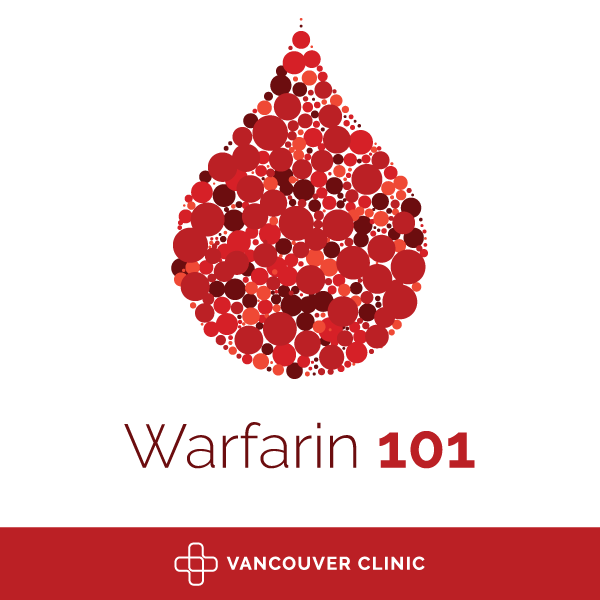 For people new to taking the anticoagulant medication Warfarin (also known by the brand name Coumadin), this class will explain about the history of Warfarin, how it works, all about testing your INR, factors that can affect your INR, plus give helpful hints and things to watch for while taking Warfarin. Classes are offered the 2nd Thursday of the month from 5:00 – 6:00 pm at the 87th Avenue Clinic in Conference Room 3. The class is hosted by Vancouver Clinic’s Anti-Coagulation Clinic (ACC) and taught by Registered Nurses. To sign up, please call ACC at 360-397-3269. This class is for Vancouver Clinic patients only, and there is no cost to take this class.